I have been so sick lately with the flu. I actually got it twice this month…. no fun. I think I am finally back to normal…. Has anyone else got super sick this year? Sometimes don’t you just love a bright colorful wreath!! This wreath is super happy and fun! I have been seeing so many water color projects around the web lately. Even though I really have no art skills I thought I would be fun to give water colors a try. And, luckily this one worked out. It is actually way easier than it looks. You could easily get this one finished in an afternoon. I wonder if you can guess what this one is made out of…..? Today I am over at Landeelu sharing all the details. Loved the shot of the whole space with the wreath,table, and other decorations. So pretty. Ooooh this is SO pretty Shonee!! So unique! 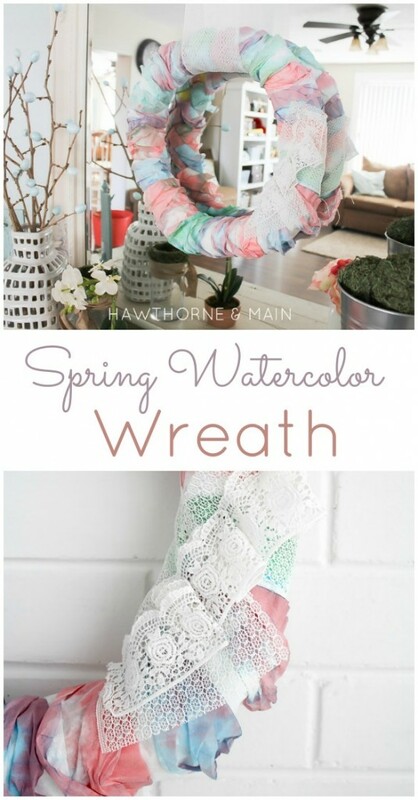 I love watercolors, and this is the perfect spring wreath. 🙂 I'm featuring it at Motivational Monday tomorrow night! 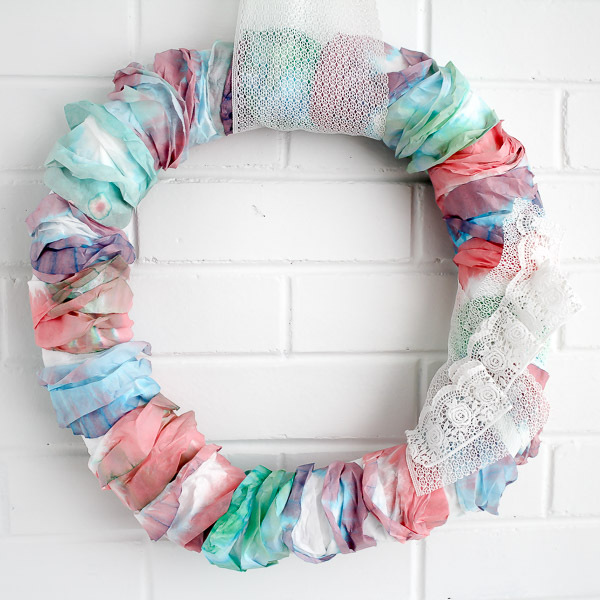 What a fun wreath – love the watercolors!! This is lovely! 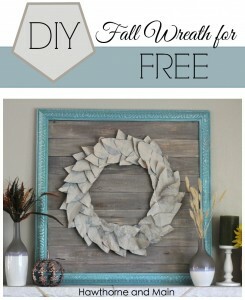 What an unexpected supply to use for a wreath! Ooooh this wreath is so pretty, Shonee! love the watercolors!! My sister is always reminding her 6th grade students that deodorant is a useful tool to help you not smell bad. She often had to open the classroom’s windows because the boys would smell so bad. It was a print of tiny flowers in the forementioned colors kind of done in a faded watercolor style. Watercolor-painted on the embossed white fabric so it was very cool Men wore grey tuxes and each matched one of the BMs colors. So, for example, the pink colors had a wreath of pink flowers and rainbow. One convenient way to find your top series is through the Columbia House DVD Club. 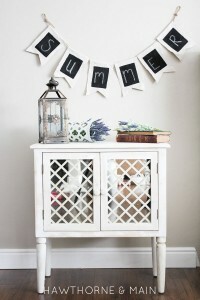 I must say you have a good collection and with this post you are giving great ideas to make a good collection. This is the good post for the watercolor wreath. Beautiful to read this content. It was extremely cool Men wore dim tuxes and each coordinated one of the BMs hues. Along these lines, for instance, the pink hues had a wreath of pink blooms and a rainbow.